Annapolis is a delightfully captivating colonial city known as the “Athens of America.” First named “Providence” this Museum Without Walls has more original 18th century structures still standing than any other city in the United States, most within walking distance of one another. In 1694 the newly designated capital was laid out in a baroque plan similar to the capitals of Europe with the highest town circle revolving around the capitol building, and the second-highest circle featuring St. Anne’s Episcopal Church. It remains a lively and vital city. The beautiful Maryland State House is the oldest state capitol still in continuous legislative use and is the only state house ever to have served as the nation’s capitol. No doubt, as Washington was on his way to the State House he paid his respects to the famous Liberty Tree on the campus of St. John’s College, just one block north of the State House. In the swell of resistance to the Stamp Act of 1765, this large tulip poplar became Maryland’s rallying point. In 1781 Lafayette camped in the shade of the Liberty Tree with several thousand soldiers under his command on his way to Yorktown! 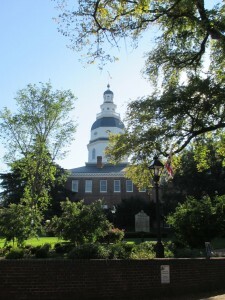 He returned to Annapolis and the Liberty Tree in 1824 to a grand welcome and reception. The relocating of the U.S. naval training from Philadelphia to Annapolis in 1845 added to national interest in the city. There is much to see and enjoy on a visit to the U.S. 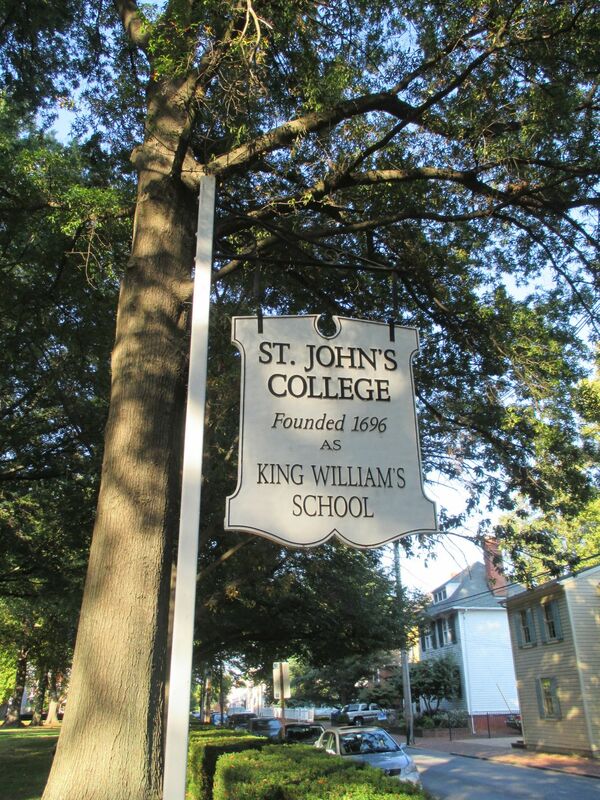 Naval Academy – the historic buildings, the museum, the Chapel, the crypt of John Paul Jones, and more. And of course, Maryland’s four signers of the Declaration of Independence all lived in Annapolis, and their houses are still standing! The William Paca House & Garden has been beautifully restored by Historic Annapolis to its colonial era splendor with over two acres of gardens to explore. Annapolis figures prominently in our American Legacy of Liberty and Faith. Take the journey with us.